Is there anything we don’t like about books? No, there is not. Well, alright – their weight, and the fact that we are asked to read them fifty-three zillion times in a row, but other than that, no. You can always use storybook apps, but they’re not nearly as soothing for bedtime, and you can always tell stories the pre-printing-press way if you think you can get the same effect as you get from a good illustrator, but I still tend to find room in my pack for a little tiny piece of dead tree. Or one of those rattly, suckable cloth versions for small babies. It love having a selection of recorded music with me on my phone – especially for car trips, where bonus points will be awarded for devices which plug into the car speakers. And of course your should never underestimate the power of a good singalong. Earphones – with or without music – can also help cushion culture shock in young children who are easily overwhelmed by strange noises. Alternatively, they can be passed to your neighbour on the aeroplane (whilst playing the ocean noises track) if your youngster gets fussy. These require judicious use. Anything goes for plane trips, where monotony rules, and I’m not above using them at other times, but I try to limit it for two reasons: firstly, because for heaven’s sake kids you could do that stuff at home, and secondly, because it robs the kids of an opportunity to warm up to the local culture from the safe vantage point of their train seat or car window. On the other hand, it can provide a handy retreat if they’re in danger of becoming overwhelmed by the local culture and you can’t bundle them off to a quiet spot fast enough. I try to have a few new kid’s apps/shows on hand for when the need arises, but I also try to use them as little as possible. These mostly fall under “good” ideas.There’s probably also a more general point in there about getting creative with the stuff around you. 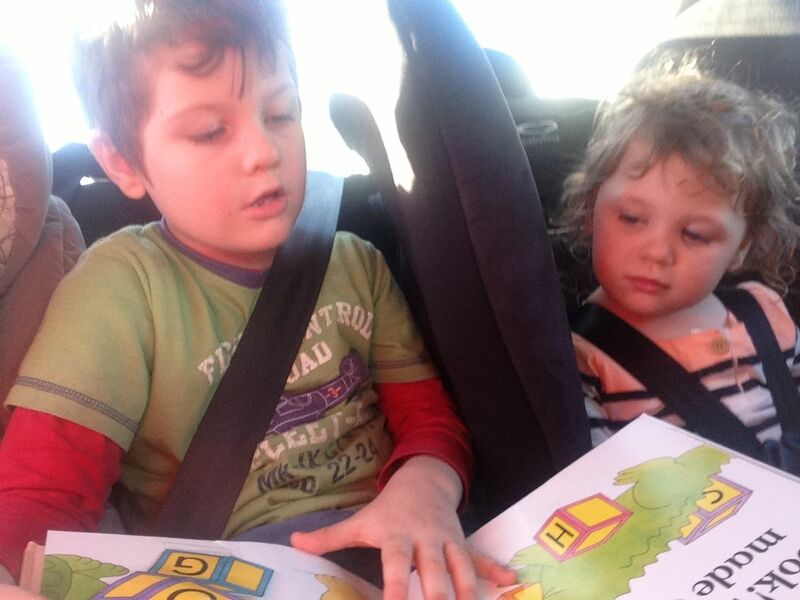 Books are such a favourite, they can induce moments of sibling cooperation when even bribes have failed. The Spotto Show and Peek-A-Boo. After watching me with my first born for half an hour or so, my sister observed that a key parenting skill for those with young babies was the ability to monologue extensively. Playing a one-sided game of spotto (“And I can see… a coffee stirrer! Ok, your turn, can you see a… latte?”) gives you a script to follow so you don’t have to think too much, or listen to yourself too hard. Or you can turn it into the old peek-a-boo game. A small bag of miscellaneous lego or blocks (read: stuff that won’t hurt if you lose it) makes a versatile toy. Plastic/waterproof character toys (people or animals). Hat tip to Sharon for pointing out that these can double as bath toys. Probably also pool toys. A dinosaur. You can see it, right? Crayola does a whole range of invisible (no mess!) paints and pens which come packaged with special paper to make the colours come out. They’re completely brilliant. Check them out at your local toy shop. But don’t buy the ones for writing on glass. Now they can be expected to actively look for the things they are supposed to be seeking for several whole seconds at a time. This will encourage them to engage with their surroundings in a way which is structured and feels safe. Mess-free drawing and an endless supply of paper in one lightweight package. Use it to play drawing games based on what is going on outside the car window – again, as a gentle way to promote familiarity with the new environment. This idea comes from Free But Fun, so I’ll point you there to read more about this simple, mess-free and widely-available craft idea. Browse around the site for other crafty things to do in your seat (starting with this aeroplane fun post). We’ve recently had the chance to try these and they get the thumbs-up. Hat tip to A Mom Next Door for the idea and Expat Dad SG who was already onto it and had some available for us to try. 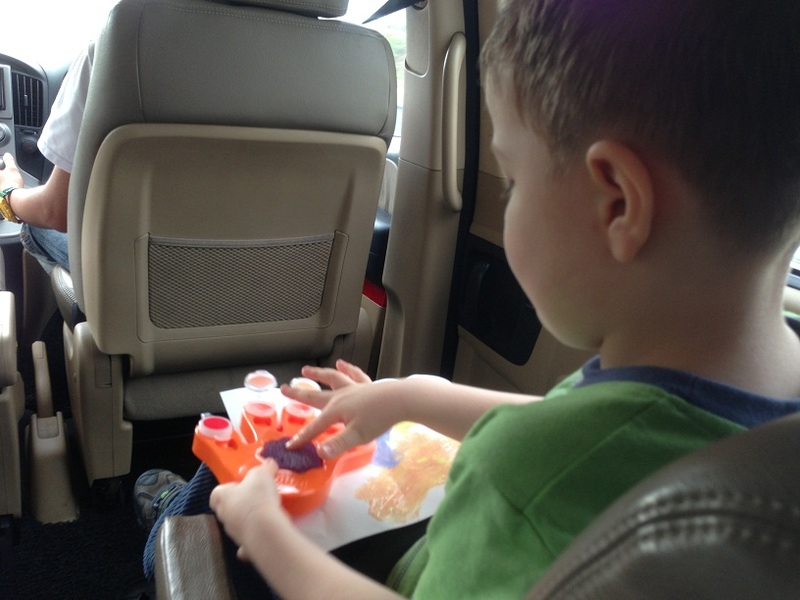 Mess-free crayola comes to the rescue on a car trip through Malaysia. At some point, toddlers are mature enough to stay competitively glued to the window looking out for purple VW beetles for hours on end, but not mature enough to realise they’ll be lucky to see a single other vehicle all day on back roads like these, and if they do it’ll be a cattle truck. Play doctor with a rolled bandage from the first aid kit – preferably whilst you pretend to be an unconscious patient. Hat tip to Vagabond Families who also have a minimalist, versatile philosophy. Madlibs and other cooperative storytelling games. Kids old enough to talk – even a bit – can fill in one-word blanks in your story. As they get into the 3+ age category, they can contribute longer segments to the narrative. Extra credit for getting them to find inspiration in their immediate surroundings to promote a safe type of engagement and gentle acclimatisation. Use a pair of binoculars to spy (hint: spies are quiet) on other passengers, or take some rubber bands and send things bungee jumping (hint: jumping things are less troublesome than jumping children) off the tray table. These are numbers 48 and 49 of this mega-list of things to do on a plane. Binoculars may also have a distancing effect for children who are feeling overwhelmed. A child over, say, three, can easily be armed with an old digital camera (and, like, a ton of memory) and encouraged to click away. This is yet another activity which invites them to look around whilst giving them a feeling of safety from behind the lens. You don’t have to physically collect the items, just tick them off a list or perhaps photograph them. This has the same effect as Spotto etc – encouraging them to engage with their surroundings, but giving them the structure of a game to make it feel safe. Toy Box In Your Hair. 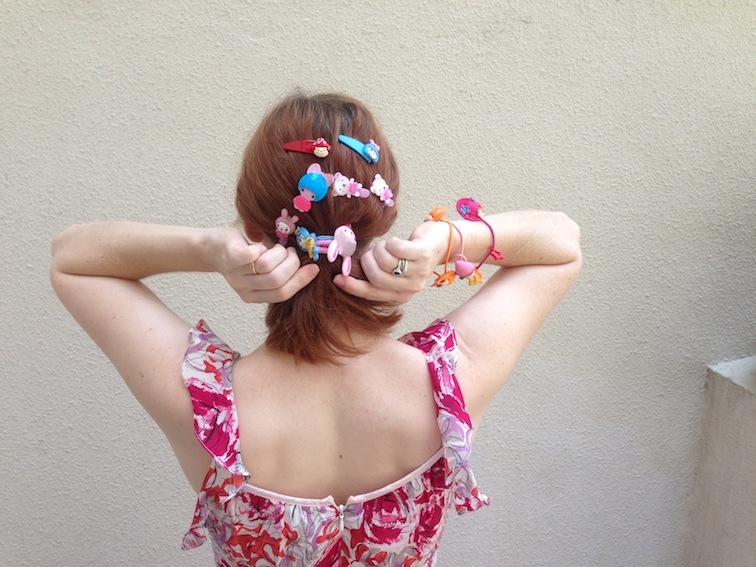 Kitschy hair bands and clips can double as toys and gifts. Click through for the full set of play suggestions. Toybox in your hair. Like it says on the tin. It’s amazing how well children of this age group can invent games with very little guidance. With letter recognition comes a whole new world. A great game for making kids look around and observe what’s going on, but from within the safe structure of a game. Sentence Mixup, Word Families and other vocab and grammar games. From five years or so it is really on. In Sentence Mixup, one person forms a sentence with a subject, a verb, and a couple of other “bits” (such as phrases). The second person has to rearrange the sentence without losing any bits or changing the meaning. Word Families involves choosing a root word and taking turns to name a word which uses that root. Playful techniques you can use to uncover the interesting amidst the banal, bearing in mind that sometimes Mum and Dad’s “interesting” trip to the art gallery can be less than thrilling for other agegroups unless you add a suitable twist. Choose your game wisely, however, or you’ll find yourself facing the wrong type of flexibility. 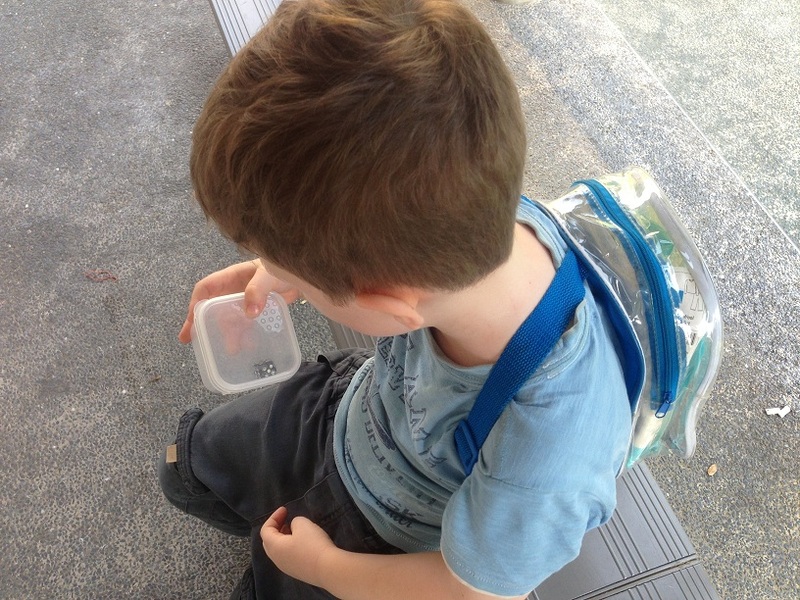 Include emergency supplies and escape plans for more adventurous games. Digital natives can create or join travel-related social media projects to work on during the trip, such as the Wildlife Missions of Project Noah (including our very own Airport Naturalist Mission). P utilises our experimental travel dice navigation system. If you’re one of the people whose legs I had to crawl under in order to retrieve Thomas The Tank Engine on the airbus to Brisbane that time, you already know why this is a bad idea. (And I’m still sorry.) Nothing wrong with tucking a ball away to throw around the beach when you get to your destination, or a couple of matchbox cars to make the hotel room more interesting, but my advice is stow them for the trip. Playdough, moondough, styrofoam putty, etc. 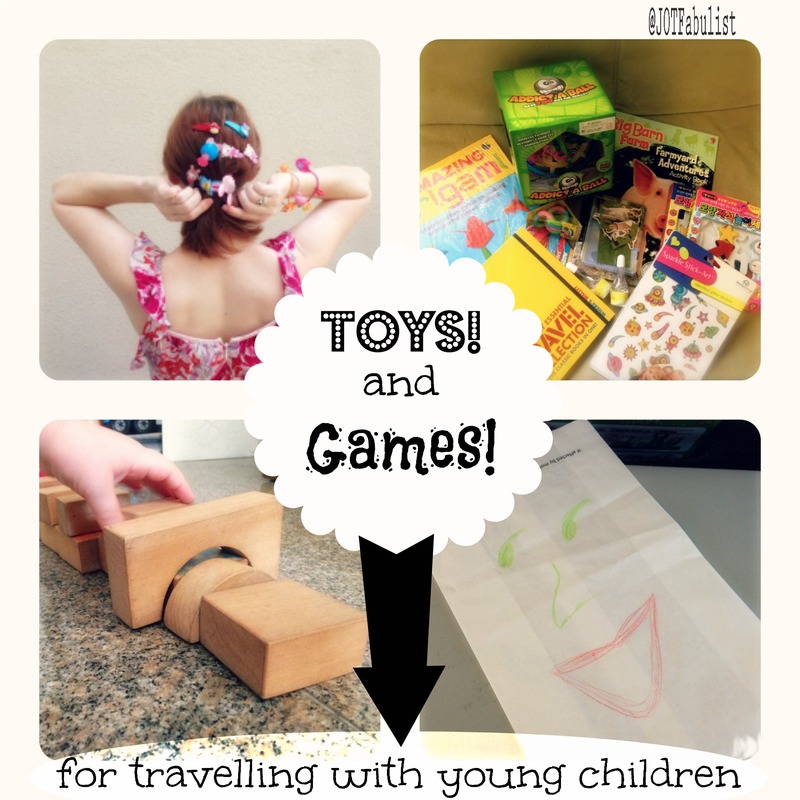 Few parents have been tempted to pack a tin of playdough for the bus trip – most of us already know how far that stuff spreads and how hard it sticks. But you might, like me, be tempted by promotional videos extolling the relatively mess-free virtues of some of playdough’s cousins. Jigsaw puzzles, and other toy sets that become completely unusable as soon as you lose a tiny, unsubstitutable, easily losable piece. 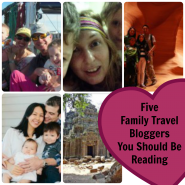 Especially if you are extra-prone to losing small pieces of things and/or have a child who gets upset about incomplete sets, since both these things are more likely to happen when you’re on the road. 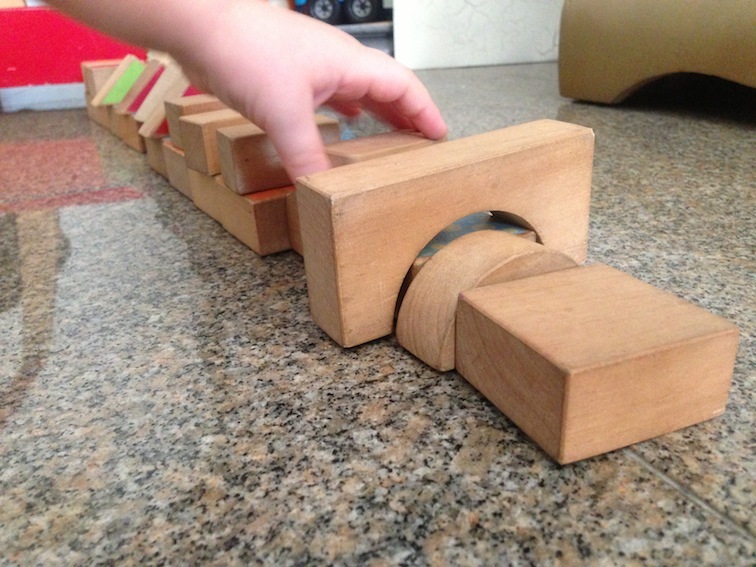 Use sets with interchangeable blocks instead. They’re messier than they look, and flight attendants and other onlookers will freak out if your kids start drawing on the windows. May be good for older children using private vehicles with the owner’s approval. Bring plenty of washcloths. Things that make loud and/or annoying noises. Apart from your actual children, that is. Be selective. Keep it simple and light. There’s nothing worse than trying to chase after a young toddler with a heavy bag, or spending twenty minutes rifling for what you need in the middle of a tantrum. 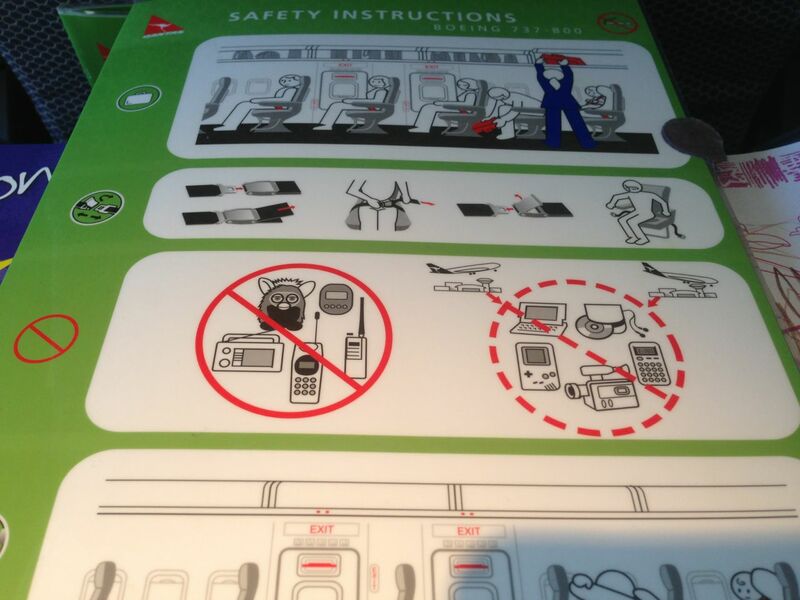 And the award goes to Qantas, which explicitly forbids the use of Furbies at any time on board the plane. Feel free to add your own good and bad ideas in the comments. But make sure you tell us which are which. Magnetic drawing board is my favourite toy. I take it with me a lot here at home too for my 1yo. Our biggest win, toy wise, was taking a few pieces and figurines from my toddler’s fisher price dollhouse. I didn’t think about it beforehand, but it also doubled up as great bath toys. I took a few activity/sticker/paint with water books and pulled them out gradually over the trip which was also a win. The sticker/activity books are also a good one. I guess I neglected them because our eldest has absolutely no interest in them and our youngest is only just getting to that stage. The invisible crayola stuff tends to fill that niche for us instead. But outside our house I believe they are widely popular!